Since a while, there have been reports about remake of Pati, Patni Aur Woh that have been doing the rounds. Considering that there has been a trend of remakes in Bollywood since quite some time now, this one getting added to the list was a subsequent step. 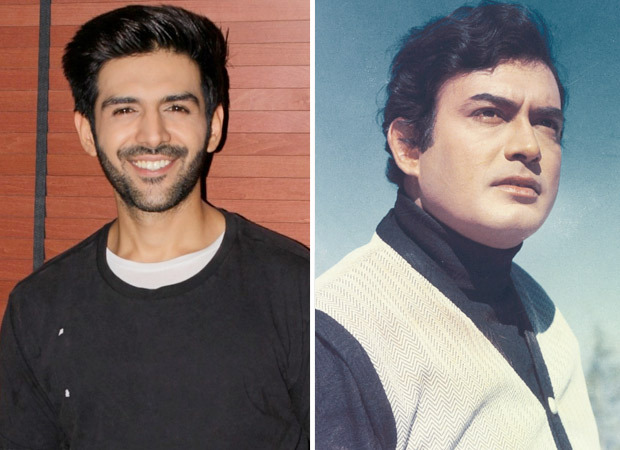 The original starred Sanjeev Kumar in the role of ‘pati’ [husband] and now the role in the remake is expected to be played by Kartik Aaryan. Juno Chopra, grandson of BR Chopra is keen on recreating Bollywood classics and in the past, he attempted to recreate Rajesh Khanna starrer Ittefaq. Now, we hear that Pati, Patni Aur Woh seem to have caught his fancy and he even discussed about this 1978 drama with his brother Abhay Chopra. The latter was recently quoted in media reports expressing his support towards remakes, adding that since they have a library of films; why not recreate them according to contemporary sensibilities. Coming to the remake of Pati, Patni Aur Woh, except Karthik Aaryan, the rest of the cast is yet to be finalized. Readers may recall that the 70s hit featured Sanjeev Kumar as a middle aged manager who hires a pretty secretary played by Ranjeeta. After resisting his attraction towards her, he soon starts an affair with her by gaining sympathy for his so-called terminally ill wife. On the other hand, his healthy wife Vidya Sinha is initially oblivious to the affair but soon starts suspects something fishy. When her suspicions are confirmed, Sanjeev is left busted and now he has to choose sides before everything gets out of hand! The two actresses for the film are yet to be revealed and an official announcement is expected to be made soon. Reports have it that the prep for the film has already kicked off and that the film may go on floor in February in Mumbai. Next articleVarun Dhawan and Sara Ali Khan to come together for Govinda starrer Coolie No. 1 remake?